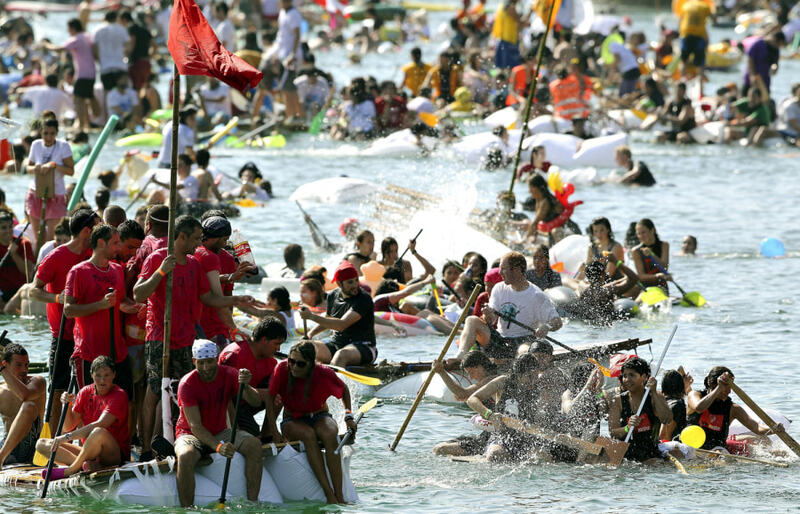 Some 3,000 participants called 'pirates' sailing handmade boats from San Sebastian harbor towards La Concha Beach take part in the Big Week (Semana Grande) festivities in San Sebastian, Spain, on Aug. 13. The Pirate Attack is one of the main activities during the Semana Grande. 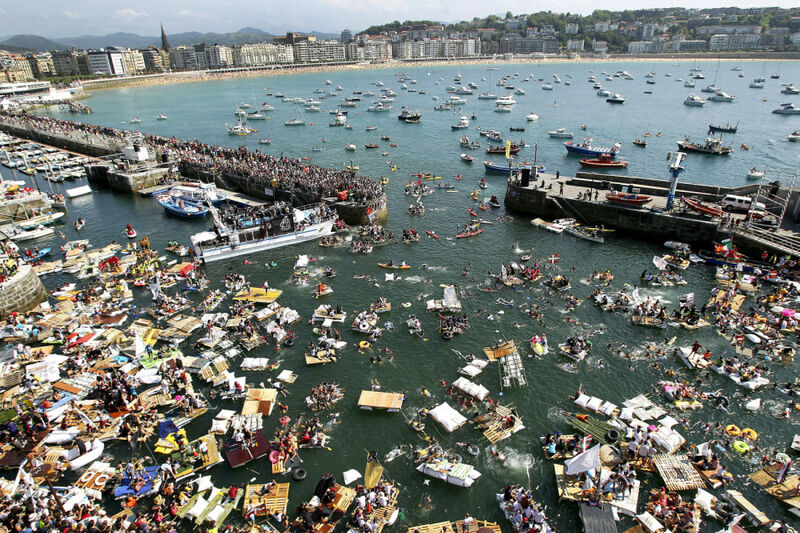 Some 3,000 participants called 'pirates' sailing handmade boats from San Sebastian harbor towards La Concha Beach take part in the Big Week (Semana Grande) festivities in San Sebastian, Spain, on Aug. 13. See photos of festivals from around the world on PhotoBlog.